Today, in the published criminal case of United States v. Qazah, the Fourth Circuit affirmed the Defendants’ convictions, but vacated their sentences and remanded the case back for resentencing. The Defendants, Kamal Qazah, better known by his street name Keemo, and his uncle Nasser Alquza, were convicted for a conspiracy to receive and transport stolen cigarettes in interstate commerce as well as money laundering. Two issues were before the Fourth Circuit. The first issue was whether undercover law enforcement agents had a proper warrant. The second issue was in the calculation of the Defendants’ sentences using the Sentencing Guidelines. The Fourth Circuit affirmed the district court’s decision to dismiss the Defendants’ motion to suppress evidence but vacated the Defendants’ sentences and remanded for resentencing. In 2010 and 2011, Qazah, in conspiracy with others, purchased thousands of cases of purportedly stolen Marlboro brand cigarettes manufactured by Phillip Morris. Qazah didn’t know that he was actually buying Marlboros from undercover law enforcement officers. Qazah made big money by selling the purportedly stolen cigarettes, on which state taxes had not been paid, to convenience stores in South Carolina. Qazah even brought his uncle, Nasser Alquza, into the business. In November 2011, the undercover officers arranged the final controlled purchase, agreeing to deliver 1,377 cases of cigarettes to a warehouse owned by Alquza for $1.8 million. Instead of completing that transaction, however, law enforcement officers arrested Qazah and Alquza at Qazah’s house, where they also executed a search warrant and recovered, among other things, $1.3 million in cash and a notebook in which Qazah had recorded his cigarette sales to various retailers. That same day, officers executed another search warrant at Alquza’s house, recovering relevant financial records and false identification documents. The problem arose with the warrant used by the undercover agents. The warrant used to search Alquza’s house had an attachment, Attachment B, which was prepared in connection with Qazah’s warrant. Thus, Attachment B that the undercover agents intended to include for Alquza’s house should have specified documents relating to “Nasser ALQUZA” in paragraph one, rather than those relating to “Kamal QAZAH.” The warrant had previously been emailed to the magistrate judge, with Attachment B in its proper place. When it was presented to the judge for her signature, Attachment B was with the wrong warrant. Alquza had filed a motion to suppress the evidence seized during the search on the grounds that the warrant was incorrect. Following a hearing, the district court denied the motion to suppress, finding that the incorrect attachment was a clerical error. The district court concluded that the evidence recovered in the search was admissible under the good-faith exception to the exclusionary rule recognized in United States v. Leon, 468 U.S. 897 (1984). With the motion to suppress denied, the presentencing report for Qazah recommended that he be held responsible for 8,112.66 cases of cigarettes, with a retail value of $24,337,980, and Alquza for 2,909.66 cases, with a retail value of $8,728,980. Based on those loss amounts, the reports applied a 22-level enhancement to Qazah’s offense level, pursuant to U.S.S.G. § 2B1.1(b)(1)(L) (2012), and a 20-level enhancement to Alquza’s offense level, pursuant to U.S.S.G. § 2B1.1(b)(1)(K) (2012). In coming up with the dollar amounts of the “stolen” cigarettes, the district court valued the retail price of the cigarettes at $3,000 per case, as distinct from the wholesale value of $2,126 per case. Alquza first contends that the district court erred in denying his motion to suppress the evidence seized from his house. The district court found that the error here was a technical one, and did not influence the warrant’s issuance, nor adversely affect its execution. Alquza contended that the warrant did not satisfy the Fourth Amendment’s particularity requirement. The Fourth Circuit found that the good-faith exception, as explained by the district court, applied to the deficient warrant. In this case, the magistrate judge had seen the correct warrant on her email, even though she signed the one with Attachment B. The Leon Court held that, the exclusionary rule should not be applied to bar the government from introducing evidence obtained by officers acting in reasonable reliance on a search warrant issued by a detached and neutral magistrate, even though the warrant was ultimately found to be deficient. Thus, the Fourth Circuit concluded that the magistrate did not wholly abandon her judicial role in issuing the warrant. See Leon, 468 U.S. at 923. Nor did she “merely rubber stamp the warrant.” United States v. Gary, 528 F.3d 324, 329 (4th Cir. 2008). To the contrary, the magistrate judge examined the email version of the proposed warrant, which was the correct version, before deciding to sign it, although she unwittingly signed an incorrect version. Alquza does not challenge the correct version that was considered by the judge. Most importantly, the Fourth Circuit found that the suppression of evidence recovered in this case would have almost no deterrent effect because the officers were acting in good faith. The Supreme Court has repeatedly explained that the exclusionary rule’s “sole purpose . . . is to deter future Fourth Amendment violations” and that exclusion is appropriate only when “the deterrence benefits of suppression . . . outweigh its heavy costs.” Davis v. United States, 131 S. Ct. 2419, 2426-27 (2011). Thus, the decision of the district court on the warrant was affirmed. The Defendants appeal the decision to use the retail value of the cigarettes rather than their wholesale value in evaluating their sentencing range under the Sentencing Guidelines. In rejecting the wholesale value of the cigarettes as the appropriate measure of loss, the district court relied on U.S.S.G. § 2B1.1(b)(1) and Application Note 3(A) to conclude that it should apply the “greatest intended loss” as between the wholesale and retail value of the cigarettes, regardless of whether that value in fact represented a loss. In the version of the Sentencing Guidelines used in sentencing the Defendants, the Application Notes explain that the “intended loss” is determined by “the pecuniary harm that was intended to result from the offense.” Thus, as the Fourth Circuit has observed before, “the general rule is that loss is determined by measuring the harm to the victim” of the offense committed. United States v. Ruhe, 191 F.3d 376, 391 (4th Cir. 1999). The victim, of course, is determined by the nature of the offense and the impact of its violation. 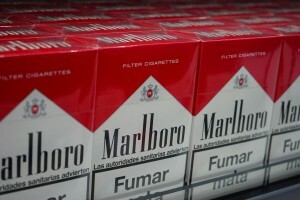 In this case, the Defendants were told–and they believed–that they were receiving cigarettes stolen from Philip Morris trucks in either Virginia or Tennessee. Thus, for the purpose of determining the loss that was intended to result from the offense, the court must identify and focus on the intended victim or victims of the offense of receiving and selling stolen property. Had the cigarettes actually been stolen, the most obvious victim would have been the property’s true owner, which the Defendants believed to be Philip Morris, the cigarettes’ manufacturer. This makes Philip Morris the most obvious intended victim of the conspiracy offense. Philip Morris’ loss would have been the amount of money that it would have otherwise received for selling the purportedly stolen cigarettes, a figure that the record indicates was an average of $2,126 per case. Still, the Fourth Circuit held that the question about the identity of the intended victim and its losses are a question of fact for the district court to resolve. However, the district court in this case appeared to conclude, without making any such inquiries, that the cigarettes’ retail market value was the appropriate measure of loss simply because the Guidelines required it to apply the “greater intended loss,” and the cigarettes’ retail value was greater than their wholesale value. Thus, the sentence is vacated and remanded back to the district court for a determination of the victim and the proper amount that is lost or taken away from the victim. The Fourth Circuit affirmed the district court’s decision to deny the motion to suppress but vacated the Defendants’ sentences and remanded back for resentencing while allowing the district court to expand its inquiry into the intended victim or victims of the relevant offenses and to recalculate the Defendants’ sentencing ranges based on its findings and conclusions about the amount of loss that they intended to result from their commission of the offense.